due to come into effect on February 1, 2019. Tata Sky customers can go to the official website of the company. They will find a big banner, asking them to choose their channels. Users should click on that option. On the website, they will have to log in either using their mobile number or subscriber ID. The mobile number is the one which is linked with the Tata Sky account. An OTP will be needed to login. 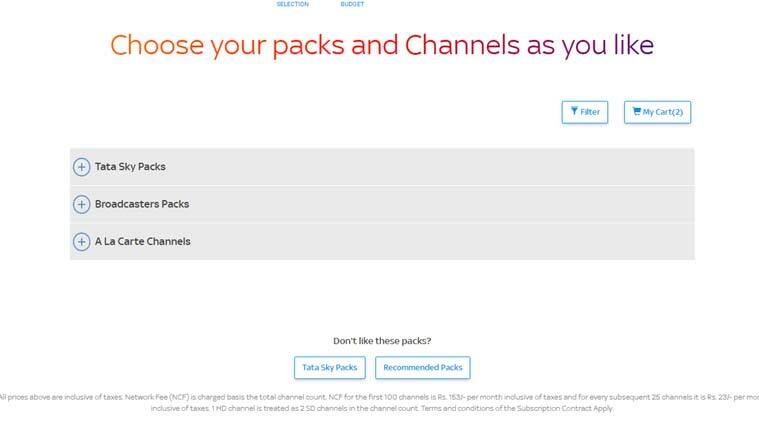 Now the Tata Sky recommended pack will show a new per month pack based on your current consumption pattern. For example, it showed us an amount of Rs 745 per month, which included a NCF or Network Capacity Fee of Rs 245 and Premium Sports English HD pack worth Rs 500. This includes around 71 SD channels and 57 HD channels in our case. While Rs 745 might sound like a high per month cost under TRAI’s new rules, it is still half of the regular bill that is currently paid for this account. Also this price is inclusive of taxes. But here’s the good part. A user does not have to stick with this pack. 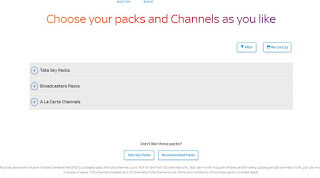 They can click on all packs and channels if they do not like the pack. Here users can manually choose their 100 channels. 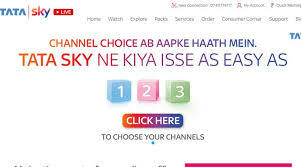 Tata Sky explains that for users currently subscribed to a long duration pack, the company will migrate them to a monthly pack of their choice on/after February 1 2019, and credit the applicable balance in their Tata Sky account. In the all packs and channels you can see individual prices of each channel, the bouquet prices that broadcasters have created as well. The prices of each channel is also reflected next to it in the menu. You can choose your 100 channels from the individual channels or add broadcaster bouquets. Tata Sky is showing prices inclusive of taxes. NCF for the first 100 channels is Rs 153/- per month inclusive of taxes (Rs 130+ 18% GST) and for every subsequent 25 channels it is Rs. 23/- per month inclusive of taxes (Rs 20+18%GST). Also 1 HD channel is treated as 2 SD channels in the channel count.